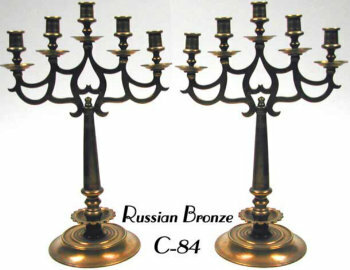 Pair of Majestic Russian Bronze 5 light candelabra. With graceful arms forming a central inverted heart. 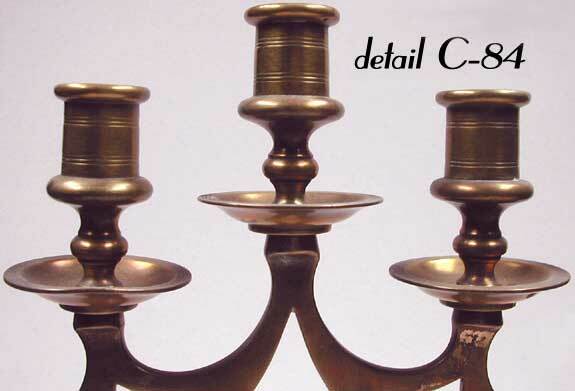 With scalloped drip pans and banded decoration around candleholders.